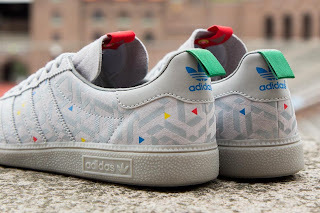 Having wiped the slate clean with last season's 'Tabula Rasa' capsule collection, Adidas Consortium is back to its former glory just in time for the 2012 London Olympic Games. 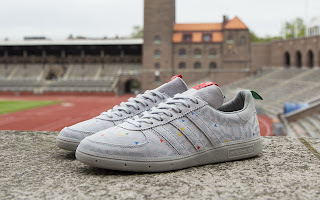 In anticipation of the games, Adidas invited series of creatives from past Olympic cities to design their own sneaker, using an iconic Adidas silhouette as their blank canvas, and their Olympic memories as inspiration. Representing London, graphic artist Kate Moross has reworked the Baltic Cup in her signature geometric style. 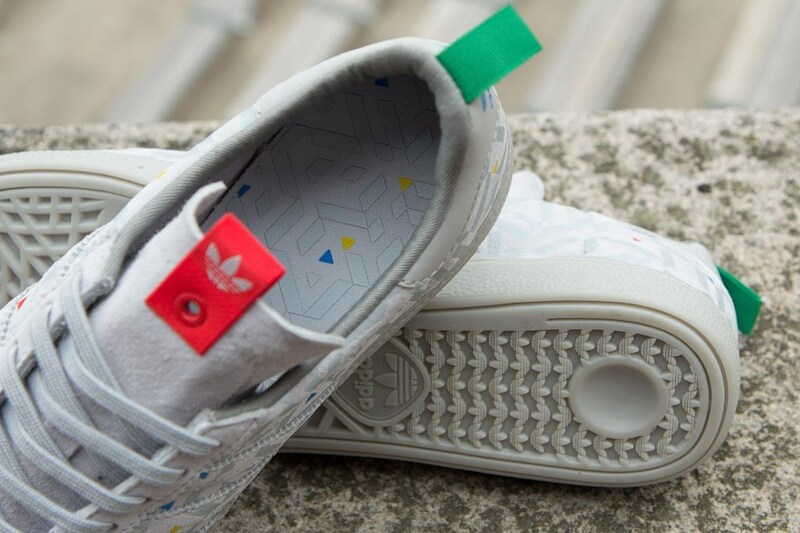 The shoe's grey suede uppers are highlighted with triangles in the Olympic colours, a subtly reflective tonal geometric pattern and bright contrast fabric loops on the heel and tongue. 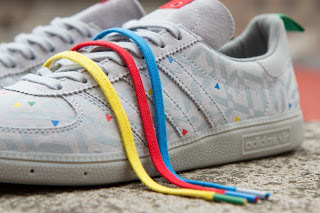 The shoe features tonal grey laces, but also comes with a spare pack of bright primary colour laces. Limited numbers.